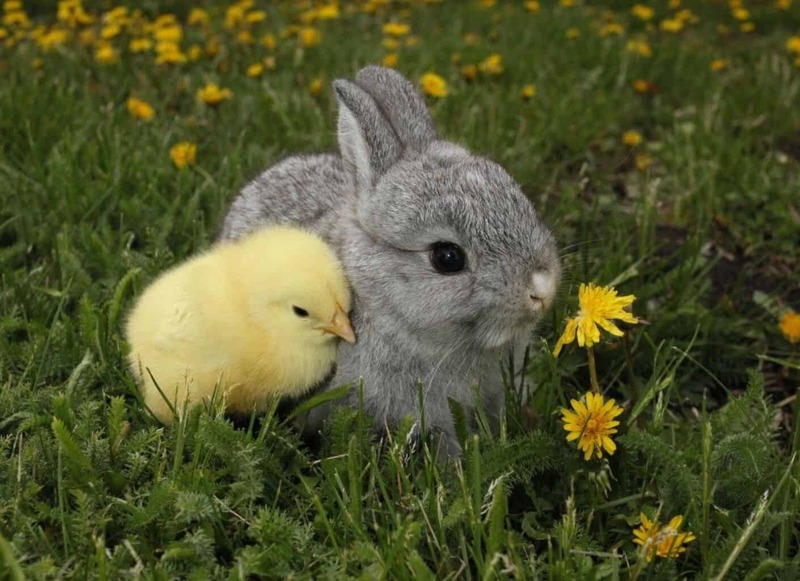 Baby animals (such as bunnies, lambs and baby chicks) are common Easter pets, and every Easter, people give or buy young rabbits and chicks as gifts. While the gesture may seem kind and even heartwarming, there are major consequences that people often over look. Giving and receiving egg-themed or bunny-themed gifts is a part of the Easter tradition. Bunnies have been a spring symbol of fertility for centuries (due to their prolific reproduction rate), and eggs were a symbol of life in ancient pagan spring festivals. Overtime these pagan symbols were adopted by Christians, hence the Easter bunny and Easter eggs. Many people seem to forget that owning a pet chicken and a pet bunny is a long-term commitment. After Easter, animal shelters across the country are overwhelmed with unwanted bunnies and chicks. Some of these animals are sick, and even abused by the time they arrive to the shelter. And many people just let their unwanted bunnies loose in the wild, which is dangerous for these domesticated animals. So, this Easter, resist the impulse to buy a cute baby chick or bunny. Instead, stick to plush bunny or chick toys. If you or your children do receive a pet bunny or chick as an Easter present, please be sure to contact an animal shelter for further help and advice. However, if you plan on keeping the pets, give your decision a lot of thought. Baby chicks require constant care for the first few weeks of their lives. You have to check up on them at least five times a day and provide special accommodations, including well-planned sleeping quarters, special feed, and lots of heat. This difficult, but adorable stage of their life is over within a matter of weeks because they grow up so fast. By week five or six, they’ll need space to roam, so you’ll need to provide adequate outdoor space, as well as a suitable chicken pen. From then on you’ll be caring for your chicken for up to ten years (which is more of a commitment than many people are willing to take on). And you’ll need to be aware of potential health hazards, such as salmonella. Bunnies, just like chickens, can live up to 10 years, so they are pets that require a long-term commitment. According to the Humane Society, pet rabbits have very specific care requirements. You’ll need to socialize with your rabbits regularly (they are most active at dusk and dawn). Their experts say that rabbits should not be kept in hutches outside, nor should they be regulated to the basement or garage. Rabbits need a large cage and at least one rabbit-proofed room in your home to hop around in. And these cages will need to be tided daily. And remember, not every household will be suitable for a rabbit. Young kids and rabbits don’t mix well.